Due to the size of our inventory and the general complexity of coordinating linens, we prefer to take linen orders either in person or over the phone. 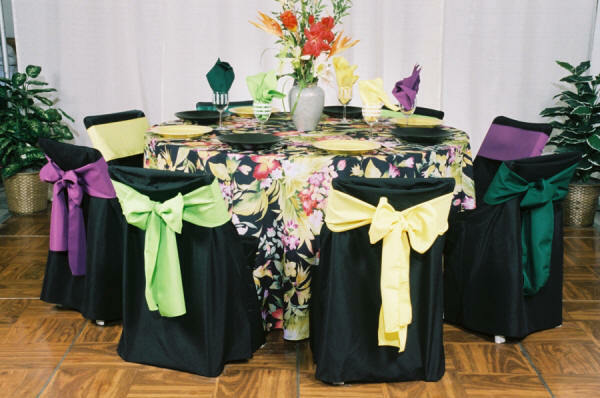 If you are interested in our linens, please give us a call or leave a comment on your quote. Please see below for swatches of our most popular colors, or click here to see the full extent of our linen inventory. * Note: due to differences in computer monitors, colors may differ from those on screen. Please call about exact color swatches.